F.B. Stearns began building cars n 1901 in Cleveland. The company built big, luxurious cars for a number of years. In 1912, they adopted the Knight sleeve-valve engine – the first automobile manufacturer to do so – and used it until the company went under in 1929. 1912 was also the year that the company became known as Stearns-Knight. 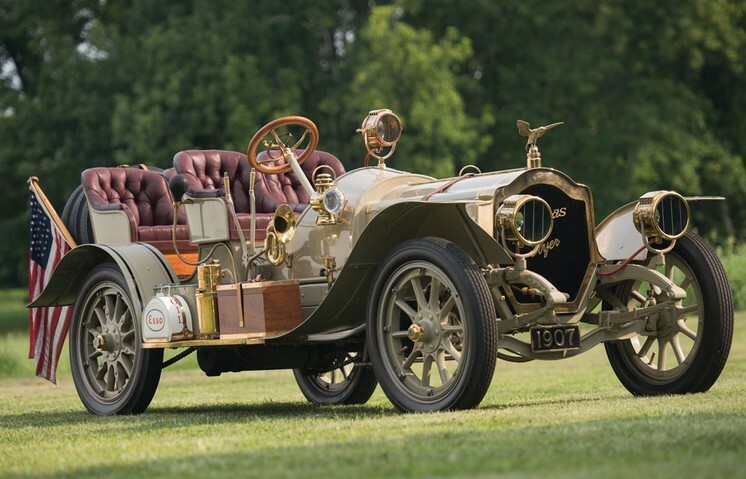 Only one model was offered in 1912 – in two wheelbases. This is the short-wheelbase version and uses a 5.1-liter sleeve-valve straight-four originally rated at 28 horsepower (although 40 horsepower is more likely). The car was original until 2011 when the mechanicals were restored and the body was “restored” to look like a barn find. It’s a very nice, big touring car. Click here for more info. Many earlier car makers labeled their models such as “Model 1” or “Model A”, etc. Very few had actual names. In 1913, the company founded by Byron J. Carter and named after its home of Jackson, Michigan, started using words to name their models. The Sultanic was the top of the line model. It was offered as a five-or-seven-passenger tourer or as a Duck – which had bizarre rear-seat steering. The Sultanic (which is definitely not the same as “Satanic”) was built between 1913 and 1914. The engine is a 40 horsepower 6.2-liter straight-four. 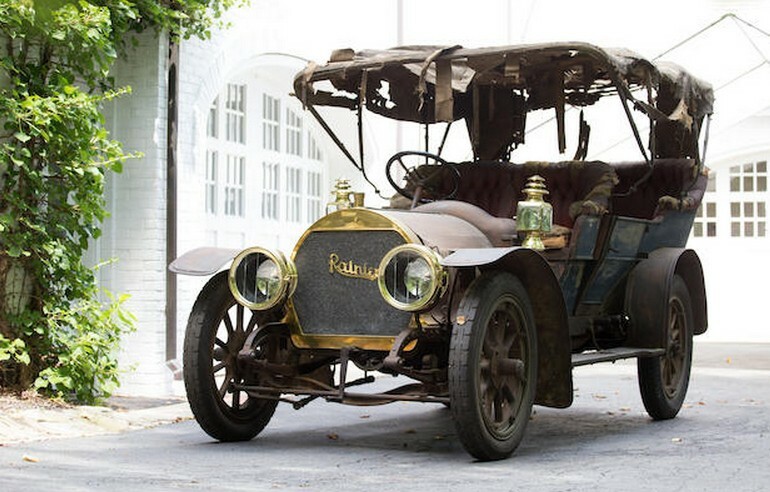 This car is all original and has somehow only covered less than 2,400 miles in its 102 years of life. Incredible! Click here for more info. If this car looks familiar that’s because it’s the exact same year, make, and model of the famous Harrah-owned New York-to-Paris race-winning car. That car is one of the most famous cars in the world (and it’s priceless). This car is your best bet at getting to drive it – and own it. The 1907 Thomas Flyer 4-60 uses an 8.6-liter straight-four making 60 horsepower. 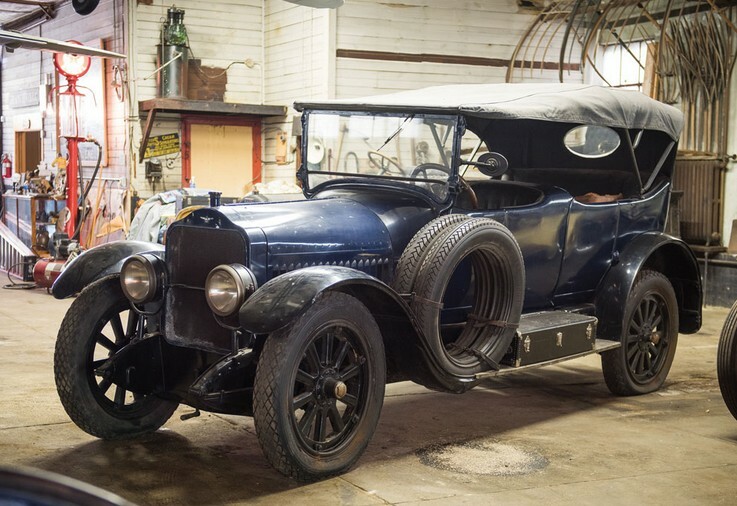 This car has an original Thomas chassis and engine but the body was constructed to match the Harrah car when it was restored. Thomas Flyers were some of America’s greatest cars in the early days and this one would be a blast to own. Click here for more info. The White Motor Company was around for 80 years. They started building cars in 1900 and did some pioneering work with steam power. Passenger car production lasted through 1918 but the company continued to build heavy trucks until being phased out by new corporate overlord AB Volvo in the 1980s. The Model Forty-Five was built in 1915 and 1916 only. This all-original example is powered by a 5.9-liter straight-four making about 29 horsepower (although the factory rated it at 45). Click here for more info and yes, I know this chunk of cars is titled “Pre-WWI” but technically this is pre-end-of-WWI. So there. This nicely restored touring car is from one of America’s best manufacturers of nice, early cars. The Dayton, Ohio-area was responsible for some great cars – and motorcycles, with the Flying Merkel being built not too far away. 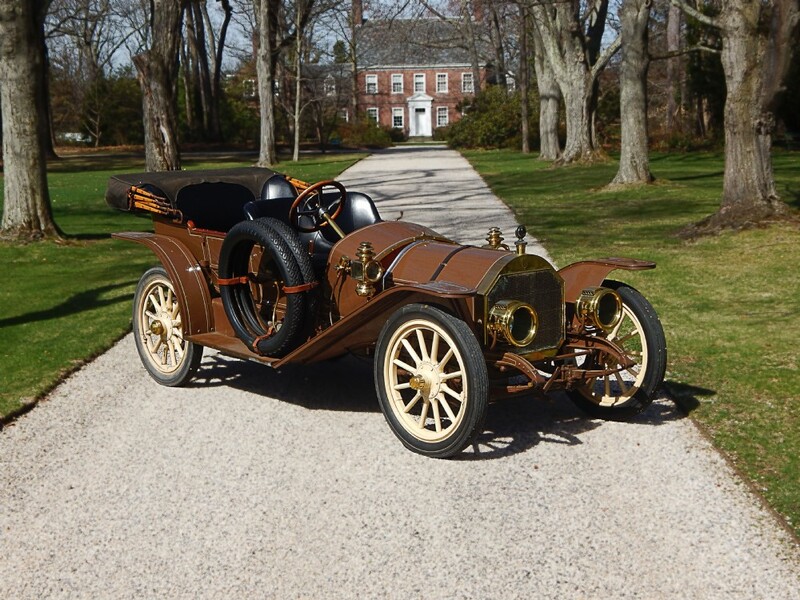 Stoddard-Dayton’s catalog of cars for 1909 was impressive. The Model 9-A fell in the middle of their range with a 35 horsepower 4.1-liter straight-four under the hood. It was available in three body styles (the most of any car they offered that year). The Five-Passenger Touring is a very attractive style. Click here for more info and here for more from RM in Hershey. David Dunbar Buick is one of our automotive heroes. He created what is now the oldest active American automobile manufacturer. It’s because the company started building quality products and continued doing so for decade after decade. Sure, they’ve had their issues in the past thirty years building anything remotely exciting (GNX aside), but these early cars are interesting. The Model 16 was built 1910 only, smack in the middle of what would even today qualify as a full model range. The engine is a 5.2-liter straight-four making 48 horsepower – which is actually quite a lot for a car in this class in 1910. The restoration is relatively new and very nice. This is a quick car and would be a lot of fun to own. It can be yours for between $50,000-$60,000. Click here for more info and here for the rest of Bonhams’ lineup. We will be featuring a Stearns-Knight in a few days. Stearns-Knight is the company that Stearns became in 1912. 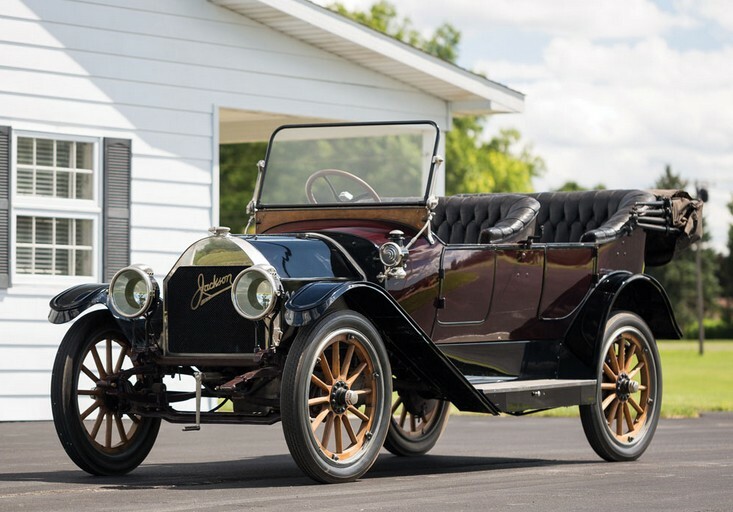 Stearns started building cars back in 1901 when company founder Frank Stearns wanted to build the best cars in the world. He did it: Stearns cars were big from the get-go and this car is no exception. 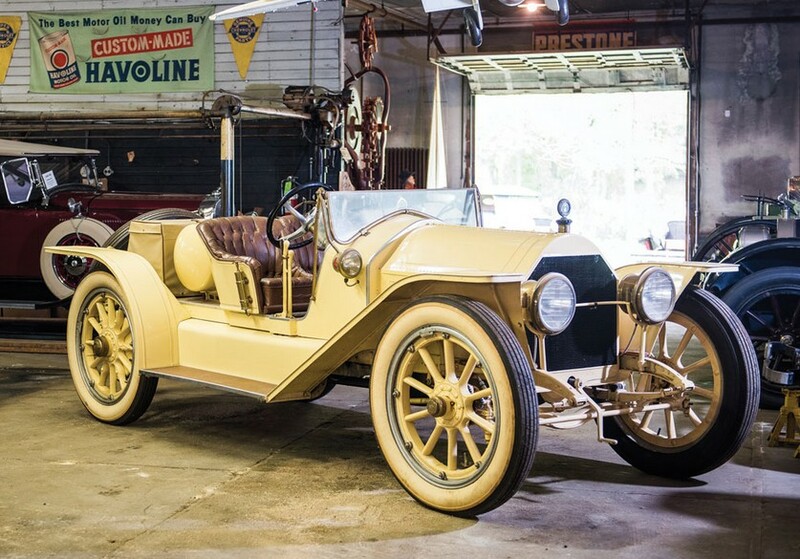 This 1907 Stearns is powered by a 8.7-liter straight-six making 60 horsepower. It’s a big car – really big – but it’s perfectly proportioned. It was restored a while ago but looks great. It’s an ex-Harrah car and should sell for between $650,000-$850,000. Click here for more info. We’ve featured a lot of cars from the Hershey-area auctions this year (as in the most we’ve ever featured from a single week’s worth of auctions). This is because there have been so many rare cars – most of which have been American. But here is a British tourer. Napier built cars and seriously powerful engines for both marine and aircraft use. They even had an American arm for about a decade. But this is a British-built Type 44 that features a 4.7-liter straight-six making 35 horsepower. While this car looks nicely patina’d, it has actually been restored (back in the 1960s). It has a great look to it and is a complete driver. It should bring between $150,000-$180,000. Click here for more info. Do you find this car to be in terrible shape or in great shape? I guess that’s a matter of perspective. 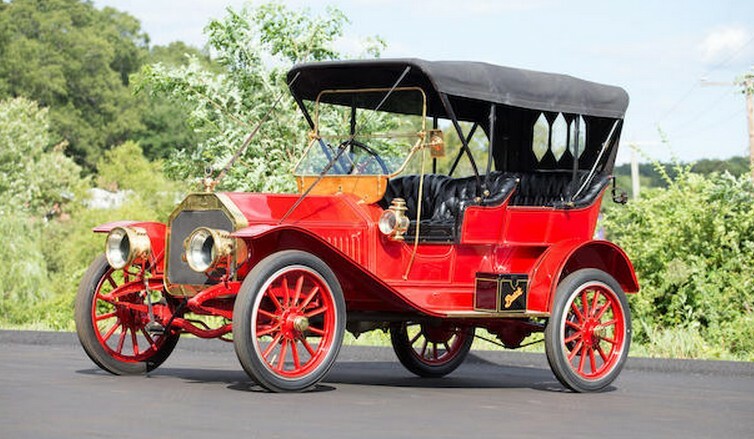 It’s almost 110 years old and although it doesn’t currently run or drive, getting it to that point would win you awards in any preservation class anywhere. 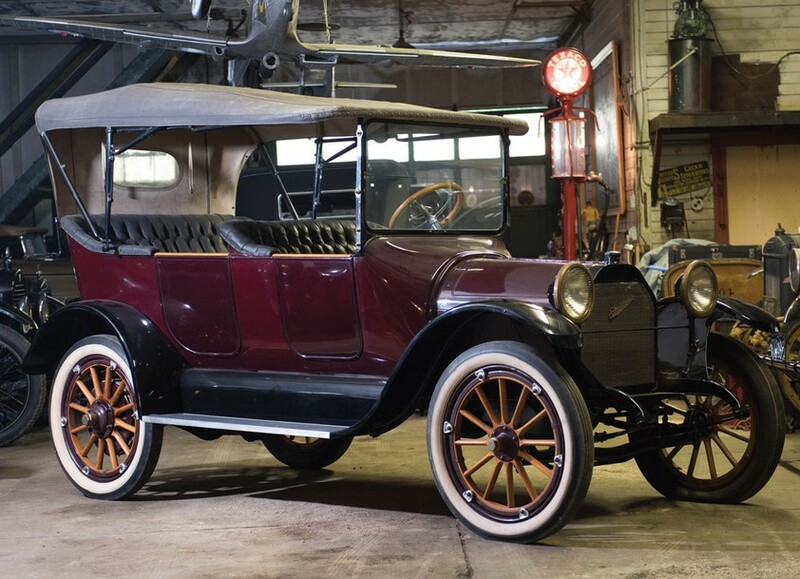 Rainier (originally of Flushing, New York, later of Saginaw, Michigan) built cars from 1905 through 1911. It was short-lived, for sure, but the cars were big – and powerful. The engine in the 1908 and 1909 Model D is a 6.8-liter straight-four making 45/50 horsepower. John T. Rainier’s company was swallowed by General Motors in 1911 but they quickly phased it out in favor of Marquette. This is the only surviving Rainier Model D and it should bring between $250,000-$350,000. Click here for more info. 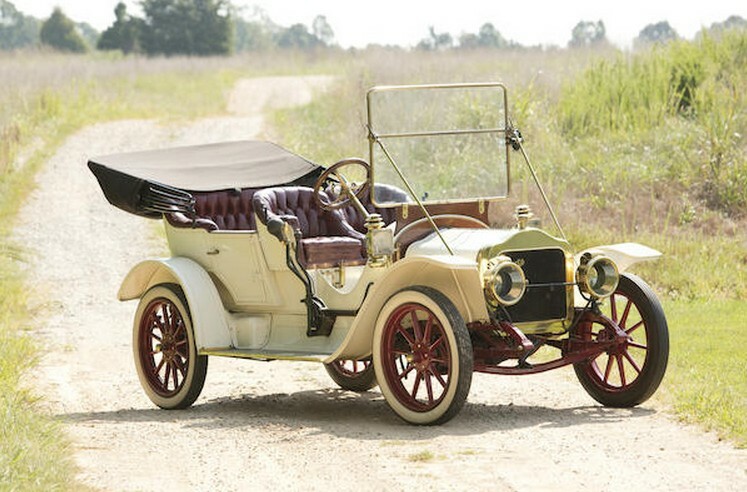 We’ve become a fan lately of early White motorcars. Steam cars are always interesting, something White heavily invested in for most of its passenger car-building life, but the gasoline cars are interesting too, as they are a little less remembered. The Model GA was built for 1910 and 1911. It was the entry-level gasoline model and was offered in a variety of body styles. The engine is a 3.7-liter straight-four making 20 horsepower. It’s a nicely-finished driver, perfect for tours. It should sell for between $30,000-$50,000. Click here for more info. 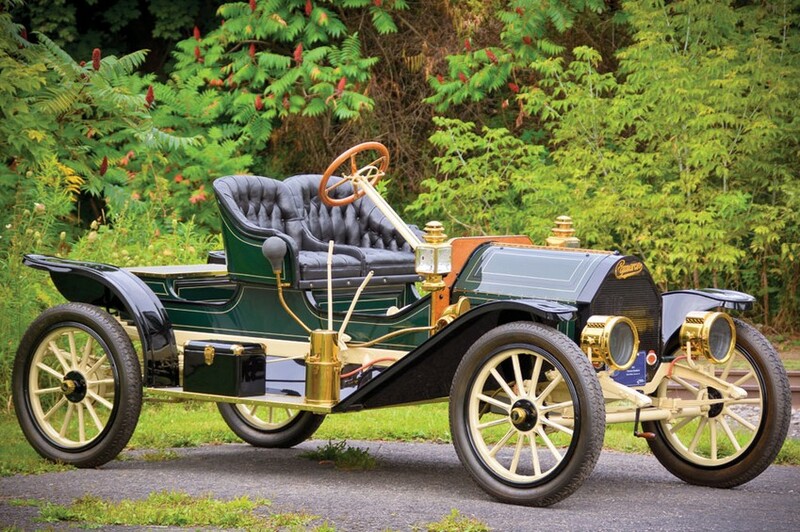 It’s everyone’s favorite steam car – the Stanley steamer. The company’s 1911 range was robust, with the Model 63 being one of two 10 horsepower models offered. It was available only in this body style with seating for five. It is powered by a two-cylinder steam engine making 10 horsepower. 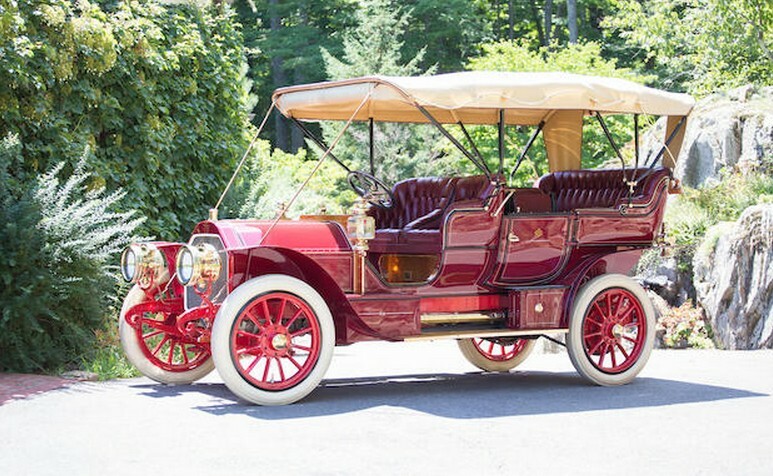 The 60-Series cars from Stanley were in production from 1910 through 1913. In all, 1,165 were built with 219 of those being the Toy Tonneau. Steam cars aren’t everyone’s thing as they take special dedication and know-how to operate. But those that love them really love them. 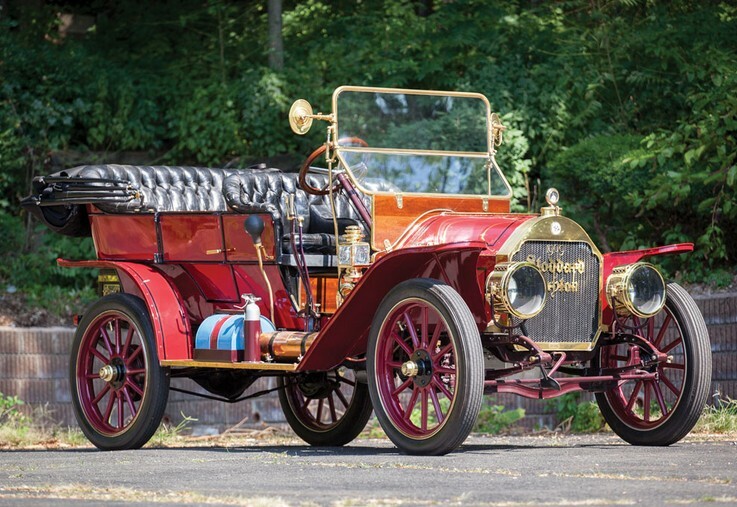 This car sort of defines early steam motoring and it has been fully restored. Check out more info here. Procter is a marque that doesn’t appear in most automotive history books (and if it does it is often misspelled as “Proctor”). That’s because the company was more of a person than an actual company. And Albert Procter only built one car. This one. Originally fitted with a single-cylinder engine, the car was later upgraded to use 1.6-liter twin-cylinder engine from a 1903/4 Ford Model A. It produces eight horsepower. Procter built the car for himself, instead of purchasing another man’s product. He only ever wanted to build one car. So that’s what he did. Procter’s daughter sold the car before WWII and the engine was stripped out of it. But the car survived and passed between collections before finally being given a new engine. It’s not road-worthy as it is all-original, but it could be made to run. Click here for more information. This car was sold new in Jersey City, New Jersey and has known history back to 1979 when its then-owner fitted this racy two-passenger Speedster body on it. The car looks quite sporting and rather imposing. The body is described as “Mercer-style,” but if I were to hazard a guess I would say that if this car were bearing down on you, you would notice it is quite a bit larger than a comparable Mercer. It needs a quick mechanical freshening to go motoring but is otherwise excellent. Click here for more info. The Cameron was one of what has to be quite a limited number of automobile manufacturers to set up shop in Rhode Island. They operated there from 1902 through 1906 before moving to Massachusetts (before finally settling on Connecticut until they went out of business in 1920). The company was founded by the Everett and Forrest Cameron. Early cars had twin-cylinder engines, but a large number of four-cylinder models would be offered – and even some sixes. This car is powered by a 2.9-liter straight-four making 24 horsepower. 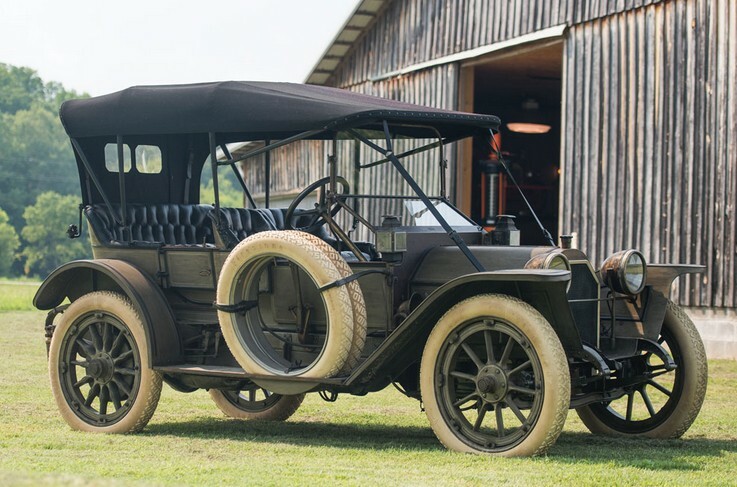 The Model 24 was only offered in this basic body style and only for one model year (which may have been 1911). This example is in great shape and is ready to go. Click here for more information. Studebaker was one of America’s great companies. With roots back to the 1850s, the company adapted and lasted through 1967 when times just got too rough. But back in earlier, happier days, their products were sought-after by the masses. And that’s why I like this car so much. If you’ve ever seen footage shot in a big city, like New York, sometime around 1920, give or take, you may have noticed the abundance of automobiles swarming the streets. And they all look more or less the same from a distance. Quite a large number of them are probably Model T Fords. But then you have to realize that some of them are very rare cars today. This Studebaker looks like it could’ve been used in an episode of Boardwalk Empire or something. It’s generic enough without being too generic. This was an everyday car. And that’s why it’s so interesting. The SD-4 was powered by a 3.2-liter straight-four making 30 horsepower. 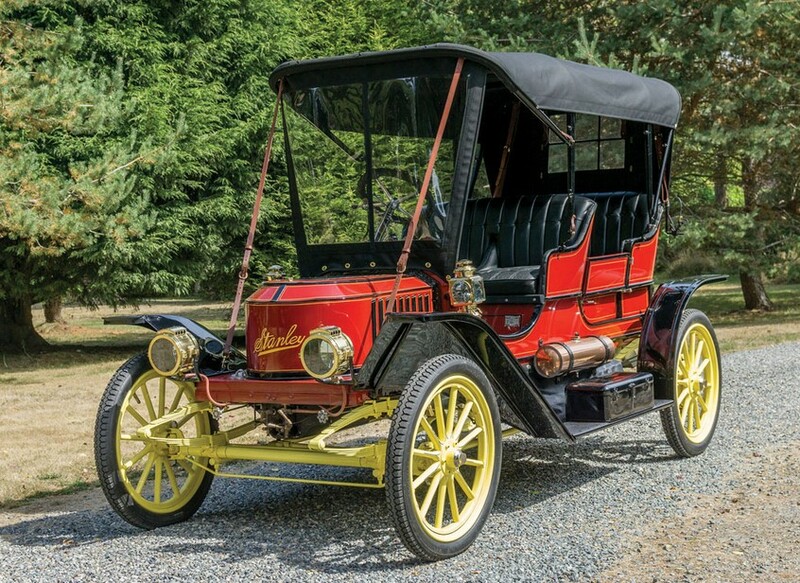 Studebaker’s four-cylinder model was renamed with every year, so the SD-4 was for 1915 only. It was available as a two-passenger Roadster or a this four-passenger Touring. You know this was somebody’s family sedan – 100 years ago. Think of the stories… and check out more here from RM. We’ve featured a 1911 Mercer Type 35 before – but it was a Raceabout, one of the earliest sporting cars built by any company anywhere. This is the slightly more practical Toy Tonneau style of the same model. Mercer started building cars in Trenton, New Jersey, in 1910. The 1911 model lineup offered two choices, the Type 30 or the Type 35. This is the latter and it uses a 60 horsepower straight-four. The Raceabout has always been collectible, the Toy Tonneau less so, although this car was restored to as-new condition in 1960. The restoration was so good that it has held up for nearly 60 years. It’s a great car and would be a welcome addition for collectors of all types. 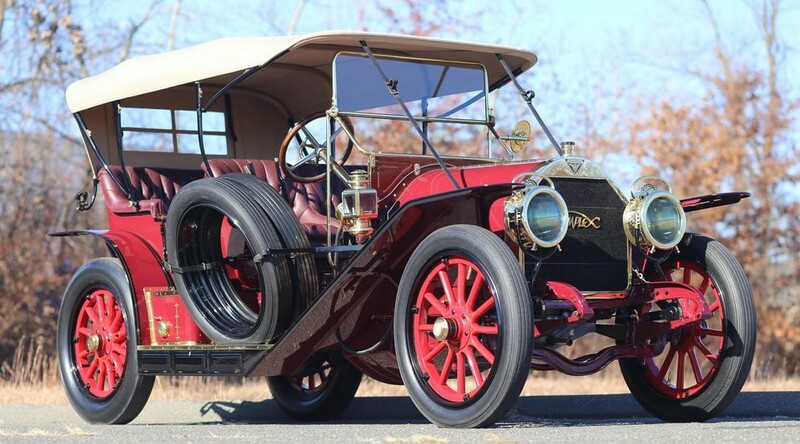 It should bring about $1,500,000-$1,800,000 – less than a Raceabout, but then it is the only 60HP Mercer Toy Tonneau known to exist. Click here for more info and here for more from this sale. Benz built cars as a separate marque up until it merged with Daimler in 1926, but it seems like you so rarely see them. This 1911 45/60HP is a marvelous example. And so is that giant castle of a house in the background. 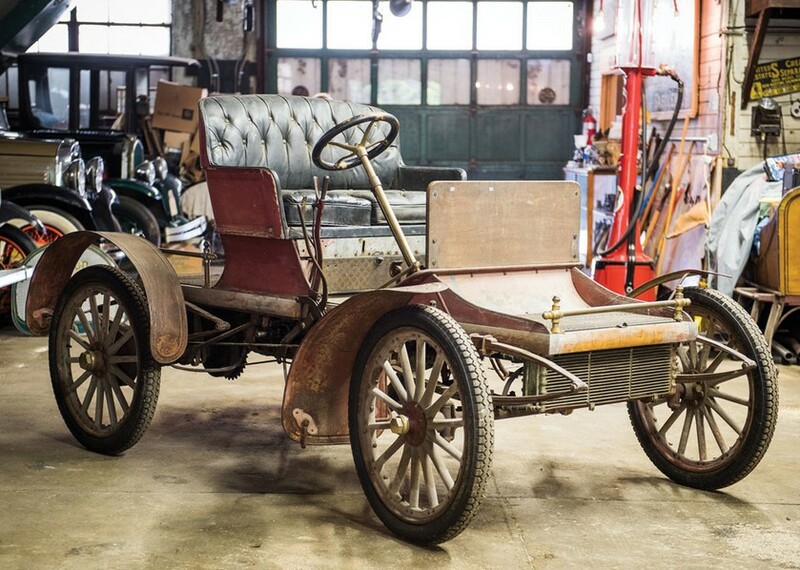 This car was imported as a bare chassis into New York City from Germany in 1911. In those days, a Benz chassis could cost an insane $8,500. So this was among the highest of luxuries in its day. It uses a 6.75-liter straight-four that makes 45/60 horsepower. The body is by Joseph Edward Demar, a coachbuilder in New York who operated for only four short years. The car was discovered in Philadelphia around 1980. The restoration was completed in 1984 in the U.K. and the current collection acquired the car in 1994. 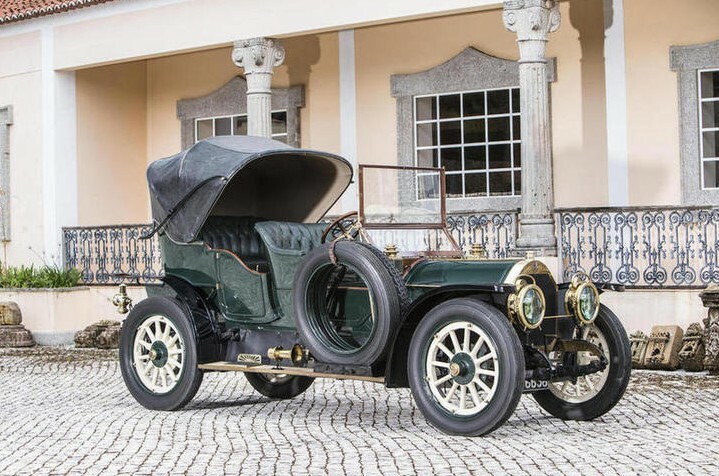 It has spent some time in a Portuguese museum and has its original engine, body and chassis – rare for a car so old with such little history known. But it really is spectacular – and the price reflects it: there is an estimate of $1,200,000-$2,000,000. Click here for more info and here for the rest of Bonhams’ Mercedes-Benz lineup. Simplex is a name that was used a lot in the early days of motoring. There were numerous companies with similar sounding names – and why not, the Simplex you see here was one of the standards of the world. Why not try to get someone confused and end up buying your off-brand Simplex instead? Simplex began life as Smith & Mabley in New York – importing European cars for sale. Then they tried building their own car based on the Mercedes-Simplex – which didn’t work either. 1907 brought a change at the top of the company and a new model was designed. It was still similar to the Mercedes-Simplex, but had a bigger engine. This car uses a monstrous 9.8-liter T-head straight-four making 50 horsepower. It features dual-chain drive which is a sight to behold if you’ve never seen a car like this in action. Simplex was one of the very top cars ever built. 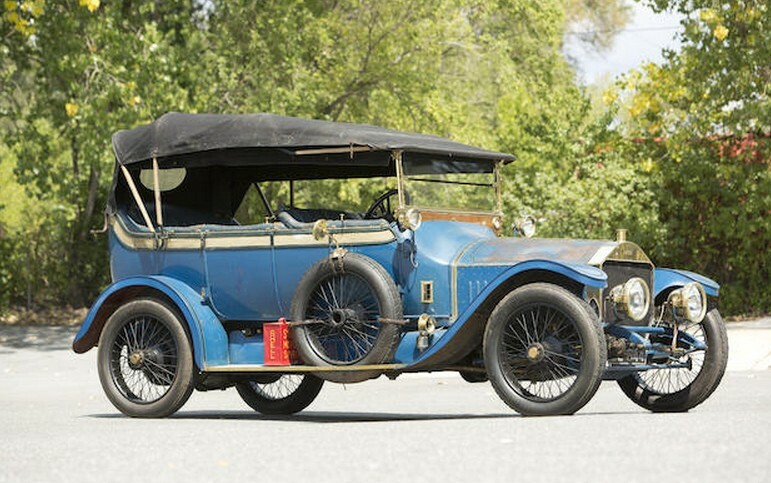 They had power, luxury, comfort, and speed all wrapped into one expensive package (about $6,000 in 1910). This car apparently has known ownership history from new and has been owned by some major collectors. Bonhams calls it “the definitive” Simplex. It’s certainly impressive. Only about 250 of these were built and this one should bring a big $1,000,000-$1,250,000. Click here for more info and here for more from Bonhams.